Alley Cat opened its doors in 1994 as an offshoot from the Alley Cat Studios complex in Kates Grove. The venue closed and took a transformation into the Fez Club chain in 1998. 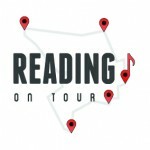 Thriving as Reading’s premier mid-sized venue the Fez Club brought a host of large bands to Reading, with booking manager Ed Frith at the helm. It then most recently became Sakura, continuing to provide Reading with a choice of night-time venues to attend. Turn right out of Sakura and keep going straight down the road Purple Turtle is a few doors down the street.